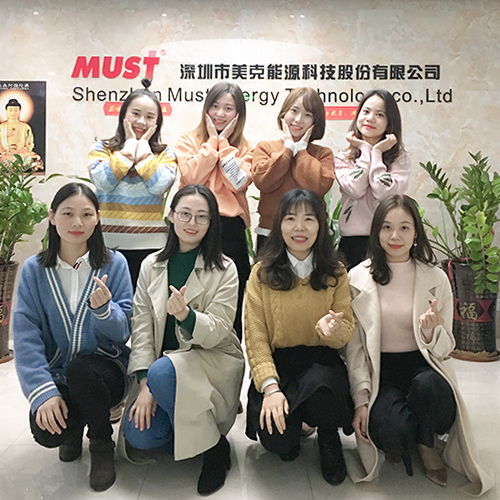 Shenzhen MUST ENERGY Power Co., Ltd established in 1998, with the headquarter in Hongkong, which is a professional hi-tech enterprise specialized in Power Inverter, Solar Power, VRLA Battery development, manufacturing, sales and after-service. In just a few years, MUST ENERGY solar inverters and components have become synonymous with technological innovation, build quality and unparalleled customer service and are highly spoken of by our customers worldwide. MUST ENERGY has set up an integrated service system for pre-sale, in-sale and after-sale andhas established service centres worldwide. The company has developed a conceptof workshops” which aim to offer global support to all customers including projectconsulting, technical training, onsite support and after-sales service. To deliver international quality products, MUST ENERGY had been certified by following policies:ISO 9001, CE, IEC, SAA, SONCAP. In the future, MUST ENERGY continues to follow existing rules and regulations, and to be certified by different international rules and regulations.